This second Gastrointestinal Masterclass is the follow on from the extremely popular Gastrointestinal Masterclass One. We now have new topics, new presenters and a bonus session. 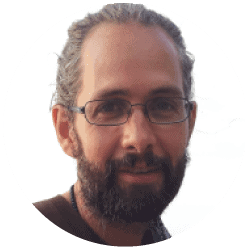 Jason Hawrelak PhD is joined by Dr Steven Sandberg-Lewis ND, Dr Cass Nelson-Dooley MS and Dawn Whitten ND See below for the presenters full bios. 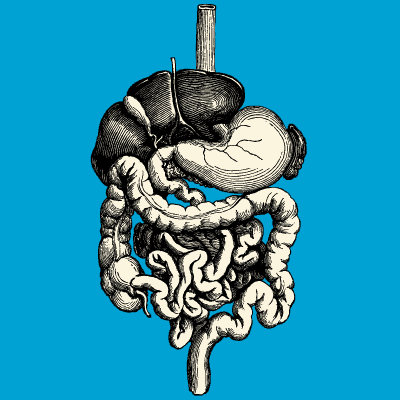 We all know the gut is seat of many diseases and in this Masterclass we cover other very common gastrointestinal presentations. In the first lesson we learn from Dr Jason how to restore gut function and flora after antibiotics, radiation and chemotherapy, and travellers diarrhoea. Jason has also ordered stool analyses of the same stool sample from eight laboratories and in Lesson 3 he will contrast the results and show you how to interpret these. This will be an eye opener! Dr Steven Sandberg-Lewis runs the digestive diseases clinic at the National College of Natural Medicine in Portland, Oregon and is presenting the latest on inflammatory bowel disease and how to effective manage hiatal hernia. We look forward to listening to Dr Steven’s expertise. Cass Nelson-Dooley is presenting a frontier topic of the gastrointestinal flora; the oral microbiome. She has a fascinating and highly clinically relevant discussion explaining the wide range of effects of the the bacteria in our mouth including obesity, cardiovascular disease, gum disease, tooth decay, bad breath and others. The oral microbiome is likely to be a strong determinant of gut flora species. This lesson will change the way you think about our commensal flora. Dawn Whitten has considerable expertise in infant and childhood disorders. She recently contributed to the Paediatric Masterclass and is presenting a practical clinical discussion on infant gut conditions specifically colic and GORD. This will be a fascinating and very clinically useful Masterclass. Don’t forget, it’s is excellent or it’s free. We hope you can join us for the Natural Gastrointestinal Masterclass Two. Note: Receive a bonus ninth webinar on Infantile GORD and Colic with the purchase of this event. Dr Jason Hawrelak ND, BNat(Hons), PhD, MNHAA, MASN, FACN. Dr Steven Sandberg-Lewis ND, DHANP. See their full bios below. Recognize the oral microbiome as a critical contributor to the health of the entire GI tract. Examine the connection between oral disease and systemic disease, especially cardiovascular disease and inflammatory bowel disease. Understand how H.pylori and other chronic, gastrointestinal bacterial infections can originate in the mouth. Discuss novel treatment strategies to address oral dysbiosis and thereby decrease inflammation in the GI tract and entire body. Crying and fussing in infants – why? What’s normal? When to worry. Considered one of the leading experts in the treatment of gastrointestinal conditions with natural medicines, Jason’s passion for gastrointestinal health, the gastrointestinal microbiota (the inner ecosystem), and probiotics was ignited during the final year of his undergraduate naturopathic training. Subsequently, Jason did his Honours (First Class) and PhD degrees in the areas of the gastrointestinal microbiota, irritable bowel syndrome, and the clinical applications of pre- and probiotics. He has written extensively in textbooks and journals on these topics. Dr Hawrelak is a naturopath, herbalist, and nutritionist with over 15 years of clinical experience. He regularly consults with patients from all over the globe who come to him for his expertise, extensive background knowledge, and experience in treating gastrointestinal conditions. Jason has taught health professionals (naturopaths, nutritionists, dieticians, chiropractors, pharmacists, and medical doctors) at both the undergraduate and postgraduate level for the past 15 years. He currently coordinates and teaches the Evidence-based Complementary Medicine Program in the School of Medicine at the University of Tasmania (Hobart, Australia) and is the Gastrointestinal Imbalances lecturer in the Master of Science in Human Nutrition and Functional Medicine program at the University of Western States (Portland, Oregon). In July 2015, Jason was awarded a Fellowship from the American College of Nutrition for his significant contributions to the teaching and practice of nutrition in Australia and North America. Dr Steven Sandberg-Lewis ND. DHANP. 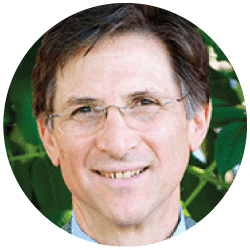 Dr. Steven Sandberg-Lewis has been a practicing naturopathic physician for 35 years, previously on Orcas Island in Washington state and now exclusively at the National College of Natural Medicine Clinic in Portland Oregon. He is considered one of the leading experts in the field of Functional Gastroenterology and teaches courses in GI physiology, GI pathology, gastroenterology and Functional Analysis to students at the National College of Natural Medicine and supervises clinical rotations at the NCNM clinic. Dr. Sandberg-Lewis is also an investigator at NCNM’s Helfgott research Institute. Dr. Sandberg-Lewis specialises in gastrointestinal condtitions and receives referrals of patients with digestive diseases who desire naturopathic treatment options. Often these are conditions that have defied diagnosis by other physicians. In addition to supervising clinical rotations at the NCNM Clinic, as a full-time faculty member, Dr. Sandberg-Lewis teaches several academic courses such as pathology, gastroenterology and psychophysiology at NCNM. He is also an investigator at the National College of Natural Medicine’s Helfgott Research Institute. 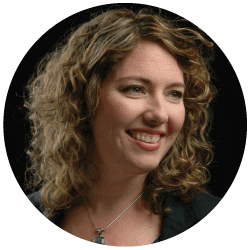 Cass Nelson-Dooley is a medical writer and served as a Medical Education Specialist for almost eight years at Metametrix Clinical Laboratory and then Genova Diagnostics. Cass co-authored, “Nutrient and Toxic Elements” in Laboratory Evaluations for Integrative and Functional Medicine and authored case studies in Case Studies in Integrative and Functional Medicine. At the University of Georgia, she completed a Bachelor of Science in Ethnobotany and a Master of Science in Ethnopharmacology. She has presented to both national and international audiences on the topics of nutrition, laboratory tests, disease prevention, drug discovery research, and obesity and osteoporosis. Cass received the Fulbright Scholar award to study medicinal plants in Bocas del Toro, Panama. 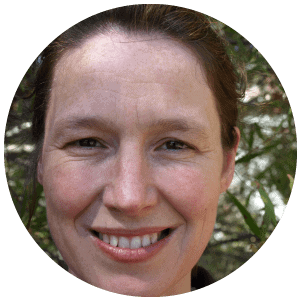 Dawn is a naturopath, nutritionist, herbalist and lactation consultant. After completing her Bachelor degree, Dawn went on to obtain First Class Honours for the clinical research she undertook in the area of Herb-Drug interactions. She has published in this area and looked more deeply into Herb-Drug interactions pertinent to cardiovascular medicine. Dawn regularly publishes papers in the peer-reviewed literature and presents both nationally and internationally. Recent topics she has presented include: Breastfeeding; Pregnancy Nutrition; Treating Allergies in Children; and Introducing Solids for the Prevention of Allergies. Dawn has also worked as a research assistant for Southern Cross University in the field of herb safety in pregnancy and breastfeeding. She was recently awarded a prestigious Fellowship by the National Herbalist Association of Australia for her contribution to the field of herbal medicine in Australia. Latorre M – Microbiome as mediator: Do systemic infections start in the gut?